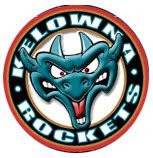 Wins are going to be extremely hard to come by for the Kelowna Rockets this season. Using the baseball analogy, no opponent is an easy out. 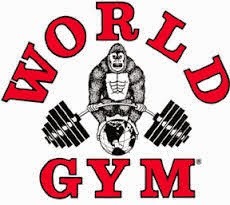 Late game rallies will be few and far between and maximum effort will be needed for a hard earned 'W'. That is perfectly clear after splitting a pair of games against the Tri City Americans on the weekend. The line between winning and losing is very, very thin. The team earned a 3-2 victory Friday night before losing again on home ice less than 24 hours later in a 5-4 setback. Now with a 2-9-0-0 record after 11 games, the team will go up a weight class when they embark on a three game road trip against two teams in the BC Division that have a combined record of 15-2-1-0. The Victoria Royals welcome the Rockets Friday and Saturday before the team rolls into Vancouver Sunday afternoon for a 4 pm start. Friday's win was a big one for the hockey club, who were facing the pressure riding a four game losing streak. The anxiety level was alleviated somewhat with the knowledge the team had made two trades with the acquisition of 20 year-old d-man Dalton Gally and 18 year-old forward Michael Farron. But that also puts stress on bubble players who are having a hard time getting into the line up...or at least it should. With the roster now at 26 players, someone is heading home. A quick thought on Dalton Gally's play on the weekend. While expendable by the Medicine Hat Tigers, the big bodied d-man is an upgrade following his move to the Okanagan. Gally has a certain aura about him. I can't pinpoint it yet, but he sure came into the dressing room with positive energy. You can see it in his eyes. Gally loves the game and during my first interview with him, you could sense he is excited to be playing at the WHL level and will not take it for granted. Again, I know nothing of the dressing room dynamics, but he screams of leadership qualities that you want in a captain. Again, I am blind of how his teammates are accepting him, and it may be wrong to give a player the captaincy when he is claimed in a trade, but I see something there. I could be dead wrong here. Let's move on. Michael Farron made his debut Saturday night and it is too early to judge what the 18 year-old brings to the table. I hear a skilled forward who can create scoring chances for himself and his line mates, but it was really hard to get a good read in his debut. Check back with me after these next three games and I will have a better understanding if he can indeed make an impact.Truthfully, the Rockets needed an upgrade in the 18 year-old age group, so acquiring Farren can't but be a good thing. Rookie Dallon Wilton had a nice weekend. The big bodied forward scored his first career WHL goal Friday in Kennewick and then from almost the exact same scoring area, did it again, but this time in front of the home town crowd. Just like that, Wilton is tied for 4th in team goal scoring, behind Kyle Topping's three goals, Lassi Thomson and Nolan Foote's four goals and team leader Leif Mattson who has eight. With the team losing 9 of its opening 11 games, negative energy, if their is such a thing, is everywhere. It is tough to take positives out of losses, especially if its happening over and over and over. But the team is making progress in several areas despite sitting dead last in the Western Conference. In the last five games the team has scored 17 goals. In the opening 6 games, by comparison, the team found the back of the net 11 times. That equates to 3.4 goals per game compared to 1.8. That's a big difference. It should come as no surprise that the power play has improved too. In the opening 6 games it was running at a measly 4%. Yes, 4%. It was best to decline the penalty at that point. Now though, after the last five games, the five man unit is clicking along at 29%, which is clearly a game changer and a threat to score every time its out on the ice. The negative? The team is still surrendered too many goals against and the penalty killing unit, while essentially winning the game Friday in Tri City by coming up huge, is taking it on the chin with a league leading 18 goals against. It was nice to see Kaedan Korczak find the back of the net Saturday night. With 8 points in 11 games, the defenceman is now halfway to the 16 points he put up in his rookie season. Sadly, while Korczak was generating offense, rookie blue liner Lassi Thomson was very quiet on the weekend with only 4 shots on goal over the two games against the Americans and no points to show for it. Director of NHL Central Scouting Dan Marr was in the building Saturday for a look at the Rockets draft eligible players, and despite a one game viewing, Marr likely didn't come away overly impressed with any of them. It's not the end of the world, but it would have been nice to see all of them make a significant impact on the game. Sure, Nolan Foote scored a goal while Korczak chipped in with his first of the season, but I've seen the entire group play significantly better that what Marr witnessed in the 5-4 Rockets loss. The Ethan Ernst, Dallon Wilton and Kyle Crosby line is starting to grow on me. Having essentially played together for no less than the last three games, they are providing some valuable minutes for the hockey club. I would like to see Ernst score just to give him a boost of confidence. Not like it appears to be getting to him, it would just be nice to see a player who generates points at the midget level be rewarded at this level. Ernst does have three assists this season in limited minutes, so I hope he understands that he is contributing to the good of the team and isn't a liability on the ice. I hate to say the Americans are a one line team, but clearly three forwards on its roster are making a dramatic difference. When Nolan Yaremnko, Isaac Johnson and Kyle Olson were on the ice, specifically in the rematch Saturday night at Prospera Place, they totally dominated. Those three owned the puck and the Rockets were often hemmed inside their own zone for a significant amount of time. Unfortunately, the Rockets just don't have that type of unit that can dictate the play. It is hard to come to grips with the team losing its opening six home games of the season. Prospera Place used to be a grave yard for visiting teams. The team has never lost 6 straight at home to start the season. NEVER. The only time where the Rockets went 6 straight games without a win on home ice was in the 1999-2000 season when it was 0-5 with one tie (Yes, games ended in ties back then). Several times the team has lost 5 in a row, but losing six straight is now a new, ugly, benchmark for futility on home ice. To put the home ice losses into context, the team suffered only 7 home ice losses last season. Congratulations to former Kelowna Rockets d-man Duncan Keith for hitting the 1,000 games played milestone in the NHL Saturday night. 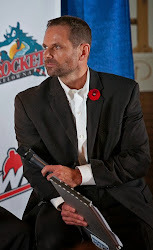 Keith played parts of one season with the Rockets in 2002-2003, leading the hockey club to its first WHL championship. The only other Rockets alumni to reach a thousand games at the NHL level is? The answer - Scott Hannan (1,055). Shea Weber is closing in on the milestone with 867 games played.